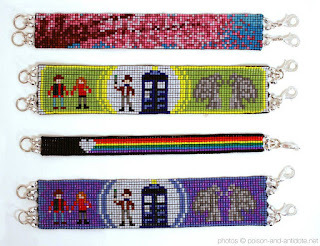 Amanda Smith: Why I stopped selling beaded bracelets. 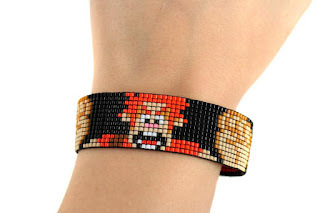 In 2012, I began making and selling loom beaded bracelets under the Etsy shop name Pookie Pixels. I got into the hobby because I liked pixel art and was looking for a way I could replicate it in the real world. With perfect consistently sized Delica seed beads and the grid of a loom, it was just what I was looking for to get that pixel look. Was my first project suitable for a beginner? ABSOLUTELY NOT. 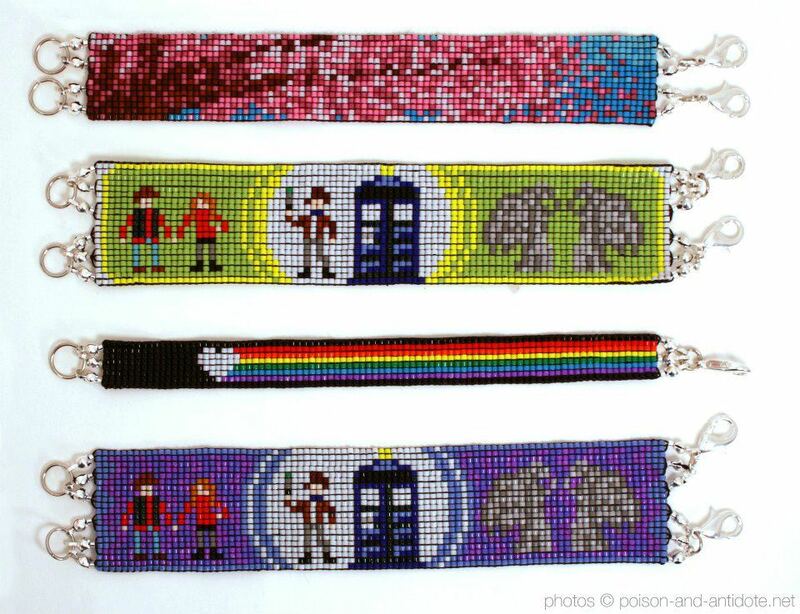 I, being a big Doctor Who fan at at time, decided to make my first ever beading project a massive bracelet consisting of over 1,400 beads. I wanted to die. But the bracelet came out awesome! Surely other people would want these, right? I made more designs. I made a lot of fanart. I'm still really proud of these. They were beautiful. I branded myself as Pookie Pixels and tabled at Otakon back in 2012. But right away I noticed a problem. Every single one of these beads has to be threaded individually onto a needle. And then pressed into place and stitched back over. And when that was done, you had to weave the needle back in to knot off the thread ends as subtly as possible. Multiple times, so that it wouldn't unravel. And once you're done with the beading portion, you still have to attach a clasp somehow. Every warp thread had to be pulled through a seed bead and bead tip with a needle threading tool. Then I knotted off twice (for each clam shell bead tip) and glued for security before trimming and clamping. And only then can you begin to attach the clasps. And most of my designs needed at least two clasps. The time required to make a bracelet was....let's just say tremendous is not a generous enough choice of words. I did sell quite a few, but the effort it took to market and create them while also working a full time job was just not sustainable for me. Very conservatively, I might have spent $7-$10 on materials per bracelet. If I can only sell that bracelet for $25-$35 tops, and each bracelet can take maybe 4 hours of labor to complete...I wasn't even making minimum wage. I slowly but surely began to lose interest. My product was selling at a loss. 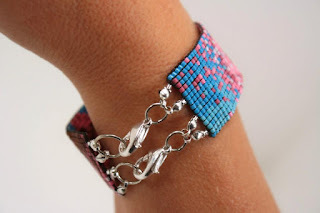 I get it--people don't have the money laying around to drop $50 on a bracelet, no matter how pretty it is. I'm also not the kind of person who would ever spend $50 on a bracelet. I've kept all my supplies. It's a fun hobby, but I think my days selling these bracelets are over. I even recently rebranded my Etsy shop from PookiePixels to PookNero. To all you beaders out there, working hard with sore, calloused fingers...you have my love and upmost respect!